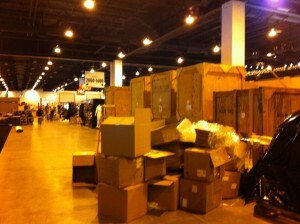 If I’m learning anything at these trade shows, it’s that trade shows are a Big Deal. The amount of work that goes into putting together a trade show (or any convention, I imagine) is huge. 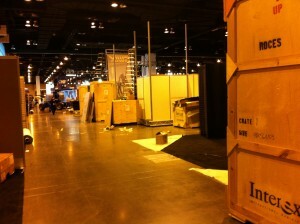 Two days before the trade show starts all the crates get moved in, overhead signs set up and the booth building begins. 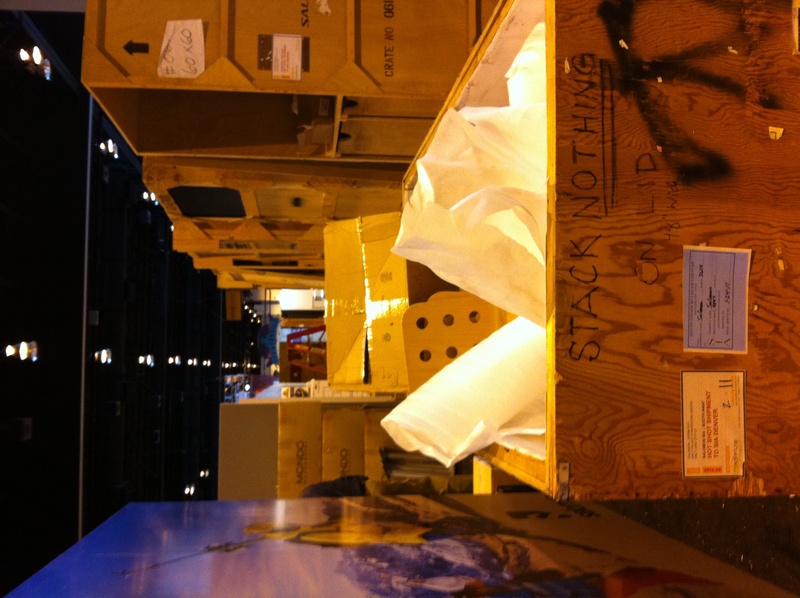 It’s a tangled mess of crates, boxes, packing material, real-sized erector sets, forklifts & people. Everyone has there own chaos to deal with and many of the booths are truly built and disassembled each trade show. An impressive change happens over those two days and, assuming I don’t get kicked out for trying to take pictures, I may have some to share of the final results since today is the first day of the SIA convention. 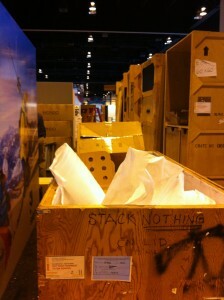 Skadi Nordic will be playing a supporting role in the Swix booth. And if you’ve seen any of our new products yet you know I really do mean supporting.